B2C Enterprises has been chosen by Pearisburg-based Housing Connections to execute multiple marketing and advertising projects in 2018. The full-service firm's work for the organization will include new branding, strategic communications plans, community event planning, and the design and build of a new website. Housing Connections chose B2C over a number of agencies after a lengthy request for proposal process." 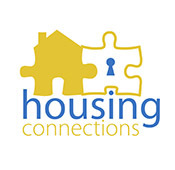 Housing Connections, formerly known as Pembroke Management, is a non-profit that administers housing assistance programs for families in Craig, Floyd, Giles, Montgomery, and Pulaski counties in Southwest Virginia. B2C has already begun the branding process with the organization and is proud to help them reveal a brand new logo this month. "Our firm has a track record for helping organizations that make a difference in the community," said Bruce C. Bryan, President of B2C Enterprises. "We were particularly excited when we learned we would be working with Brett and his team at Housing Connections. They do great work and help so many people, so we were thrilled to be selected to help them with their brand creation and rollout as well as their new website design and build. It's really rewarding work." B2C's work with non-profits includes marketing, advertising, and community outreach. The firm has worked with organizations such as Help Save The Next Girl, The Spot on Kirk, Cave Spring Volunteer Fire Department, DePaul Community Resources, Virginia's Veterans Parade, and more. To learn more about B2C Enterprises and the services they offer, visit www.B2Centerprises.com.